From laptops to tablets, smartphones, smartwatches and much more, geeky nerds are literally drooling over various types of gadgets. Needless to say, there are oodles of them available with smart features and they have really changed our ways of handling things, doing work, shopping, travelling. No matter which field you are in, where your office is or you are freelancing; you need something to keep all your gadgets and accessories at one place and stacked in a well organized manner. For those of you in search of a bag to carry your gadgets and accessories, I’ll suggest you to buy a laptop bag that promises to hold your gadgets in a well organised manner and promises safety of the same. Protection from falling and breaking, getting wet is important. However, this doesn’t mean you have to compromise with style. You indeed deserve smart laptop bag and if you are ready to shell some good amount, there is an amazing range of best and trendy laptop bags available in the market. For you all to take a look, we have handpicked some really nice looking and ergonomically cool and best laptop bags of different range. 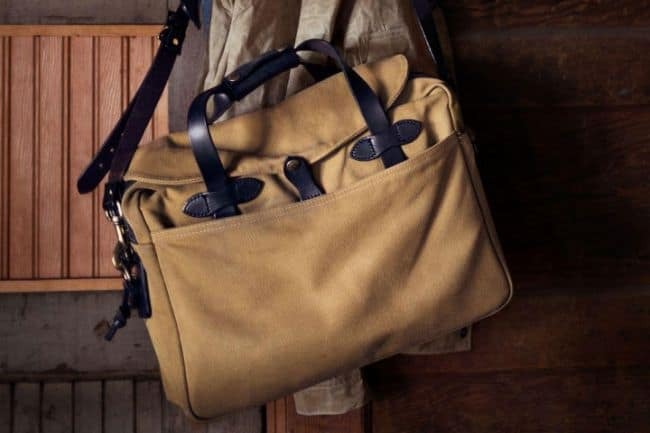 Colorado-based Topo Designs has some of the really superior bags that are worth checking out and carrying out in style. 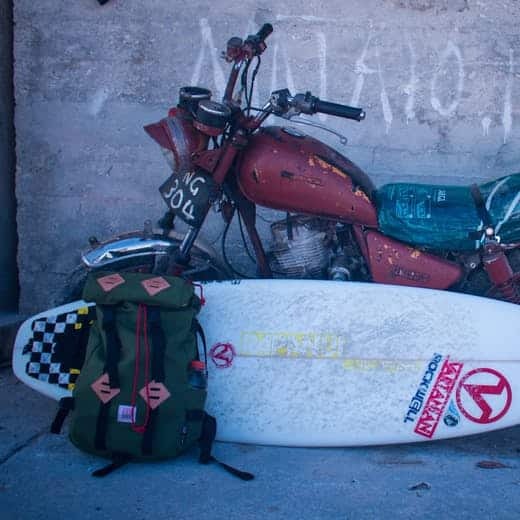 The Kleteersack 15L bag with classic design is built for the traveller in you. The natural leather bag lets you stow your small equipments. Also, there are side pockets and the padded sleeve that provides extra space for keeping your water bottle. I just love this bag and more than that I am so much in love with the bike behind. 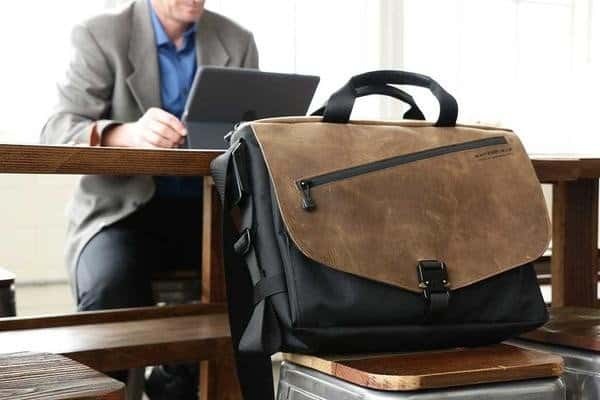 This is one strong, silent type of briefcase with minimalist design to fit your laptop, few files, magazines, power supplies, pens and other small accessories. Cadet bag has two unobtrusive webbing loops, is made up of 1050 denier, high tenacity ballistic nylon fabric with twice the abrasion resistance and can be worn in three ways: across-body (messenger style), on one shoulder or carried in hand as a briefcase. 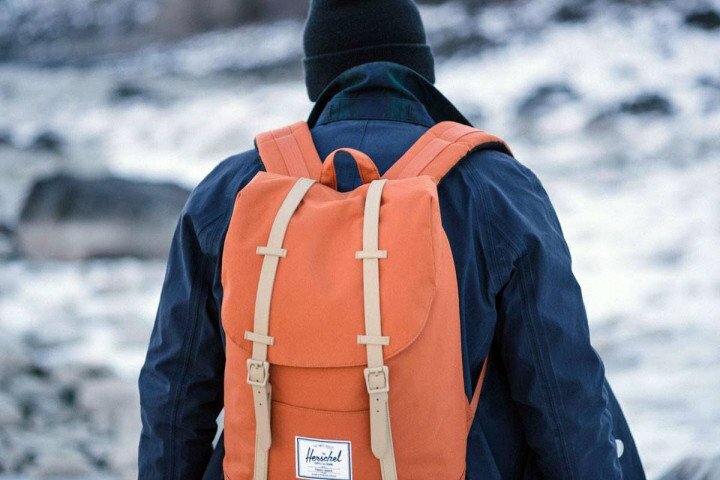 Made of 100% polyester, and zipper closure, this 14″ shoulder drop Herschel Supply bag is one simply awesome laptop pick for those who don’t love to compromise with style. The bag is aavailable in different colors.The bag comes with reinforced bottom to take care of your stuff. Arc’teryx is one of the most première and cool outdoor brands of all times. The Granville Backpack comes with the warranty, is weather-resistant, features a zippered back panel to make it easy for you to access your laptop. The reflective logo for increased viability, a key clip and easily accessible pocket for securing smaller items. It’s available in miscellaneous colours like (bengal copper, black, marine, and biome). 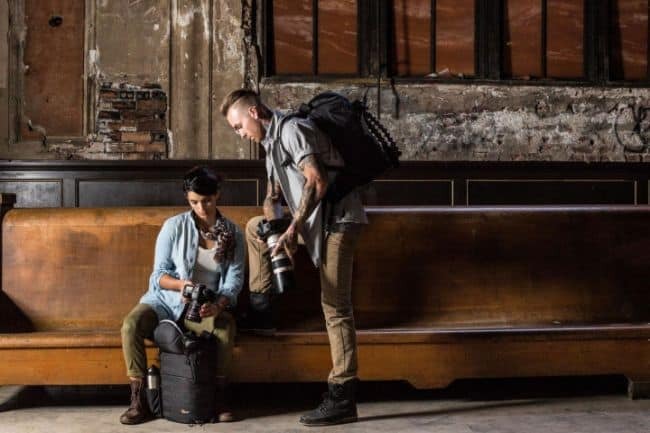 Here is one super cool professional camera backpack that lets you critically access your two cameras and comes with multiple accessory attachment points. 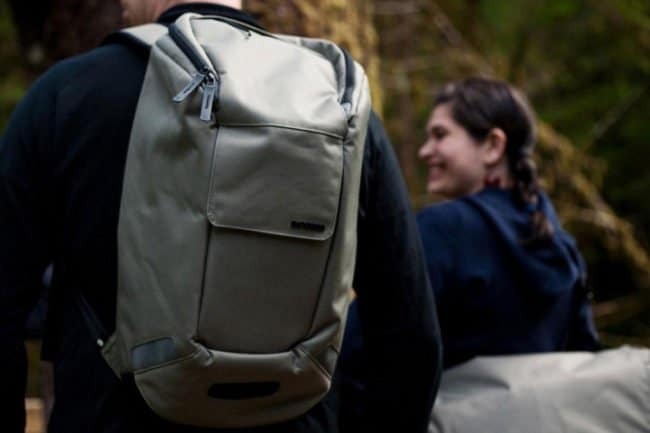 There is a ProTactic 350 AW that promises high performance to pro photographers in need of an urban-inspired pack. The bag fits 1-2 Pro DSLRs, one with up to 24-70mm f/2.8 lens attached, 6 lenses/speedlights,13″ laptop, tripod and other accessories. From the company (Incase) that has not just one or two category bags, but offers an entire line of laptop-friendly backpacks, here comes the standout Range backpack. The bag is outfitted with high-vis reflective details and padded shoulder straps that have been added keeping the comfort level of the user in mind. 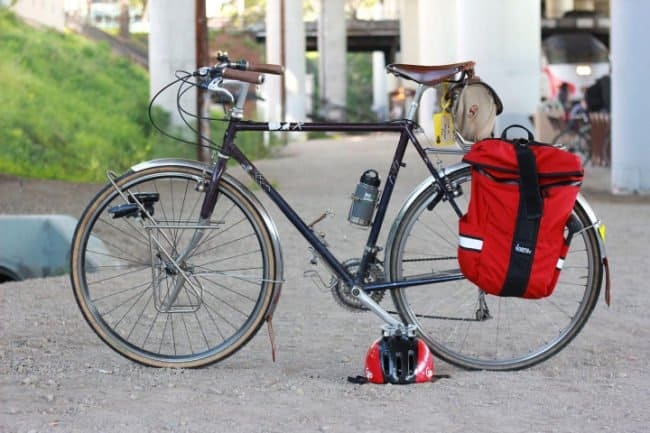 Also, there are added features like adjustable sternum, plush, fleece lining, multiple organizer pockets, a compartment used for housing your U-lock and much more. This is one cool AVA backpack-handbag hybrid specially designed keeping women in mind. Stylish and cool, the laptop bag is crafted with stylish urban aesthetics in mind. 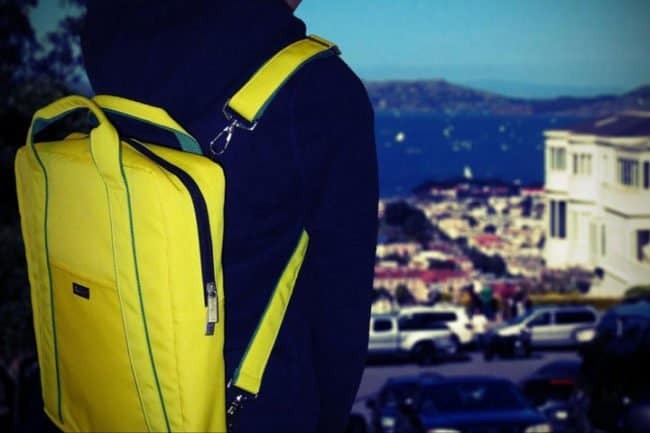 The bag is available in four colors (black, blue, red, and yellow) and offers 10- to 15-inch laptop compartment along with pocket organizers of different sizes to let you keep your electronics in an organized manner. The nylon fashionable women’s laptop backpack/tote comes with durable ripstop nylon exterior front pocket for easy access. Also, there are secret zipper pockets at the back. The bag is fully lined and protected interior. Timbuk2 Command Messenger is a stylish messenger bag that comes with good number of external pockets to stack your power chords and gear. Besides, there is a tricot-lined pocket protects your sunglasses and smartphone from unwanted scratches. 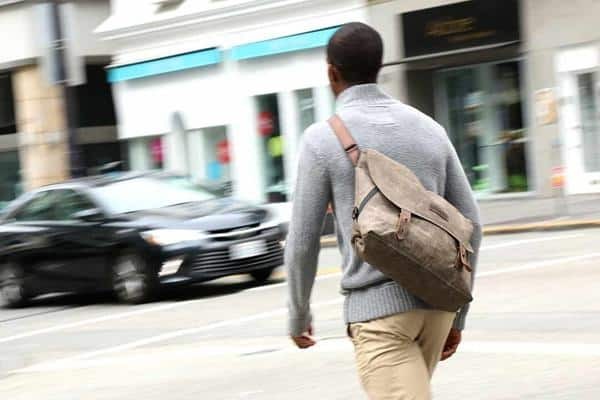 Here is one stylish messenger bag that is apt for bike commuting This super lightweight Vitesse Messenger elegant bike-friendly, work-appropriate messenger bag with functionality and style to spare. 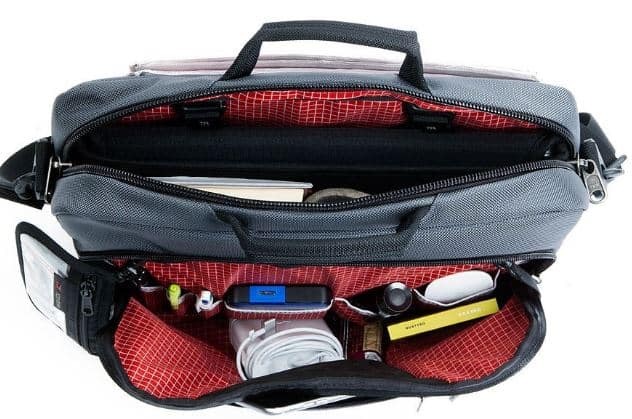 The bag has one main compartment that includes a pocket for a laptop in a sleeve plus organizational pockets for small items. Besides, the front zippered pockets of the bag are great for easily accessible items and there is also a hidden scratch-free phone pocket to keep little items safe and ready. This cool Route Nine bag comes with a padded shoulder strap and stow-able pannier backing that lets users enjoy the ease of carrying it. This convertible bag has intuitive design and you can convert the bag in seconds letting you make use of the waterproof drop liner and external pockets in either configuration. Also, there is a modular pocket system that offers ample storage and organization to stash all the equipments. Built with rugged twill which is an industrial-strength fabric that resists water and wear the bag comes with large interior compartment with three dividers and a padded section for a laptop. The bag has various pockets) like 4 stow pockets, 1 zipper pocket, 3 interior dividers, 5 interior utility pockets, 1 interior slotted pocket, 1 interior patch pocket). There is YKK solid brass zipper closure that is custom cut at Filson. 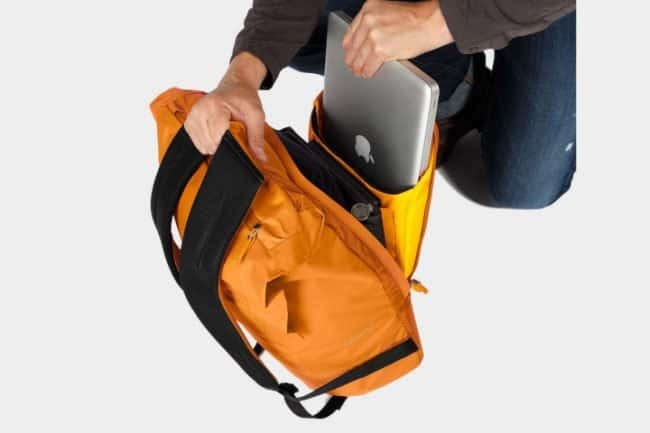 Interior laptop pocket is padded on a side to protect gear; sized to fit a standard laptop up to 15″ wide. Designed with genuine leather, this Cargo bag provides waterproof zippers and a padded compartment, offers a segmented interior with lots of pockets. The Cargo messenger has a built-in padded laptop pocket – and – a built-in padded tablet pocket. 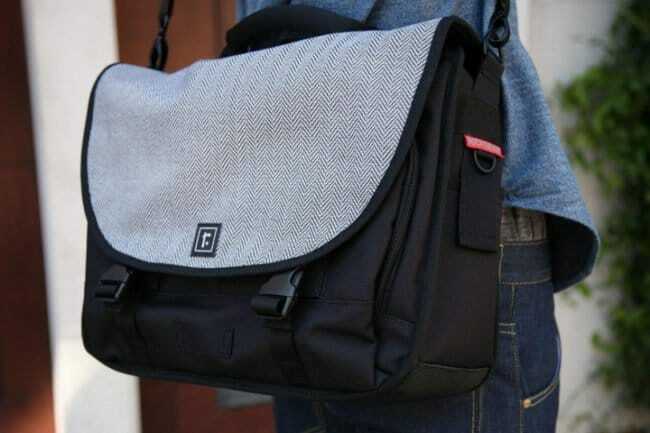 It’s a versatile bag for those who are looking for smart laptop bag. 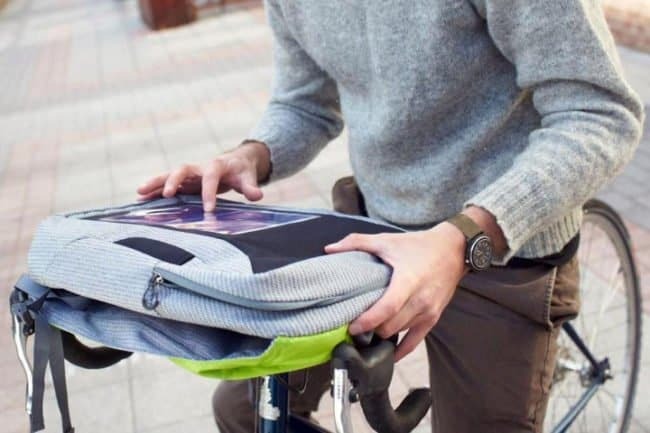 The cool rickshaw standard commuter bag comes in 100 customizable appearance options like exterior material, color, bindings and logo to suit your style. The waterproof bag has 15-inch removable laptop sleeve, quick-adjust shoulder straps, front and rear pockets and everything that promises to add to the beauty of the bag. The forest green Urbana Briefcase from Moshi comes with separate padded compartments to hold up to a 15″ laptop, a tablet and accessories like charger, hard drive, book, and much more. Urbana comes with adjustable shoulder ViscoStrap that provides hours of comfort and is removable. The bag comes with water-repellent coating that helps to keep the stuff dry. 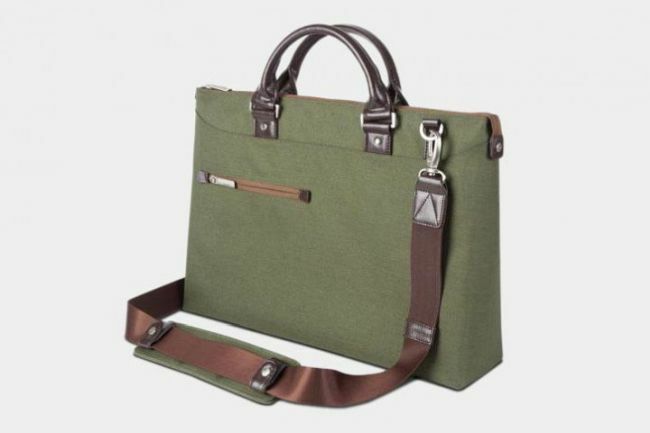 Aptly-titled Cyber Port, this laptop bag from Osprey, this bag is available in a different shade. The bag features melange of storage compartments for different purpose. There is a padded sleeve that provides enough space for 15-inch laptops. The main compartment lets you stack your important documents and a front pocket for scratch resistant space for your shades. I love all these best laptops of year 2017. How about you? 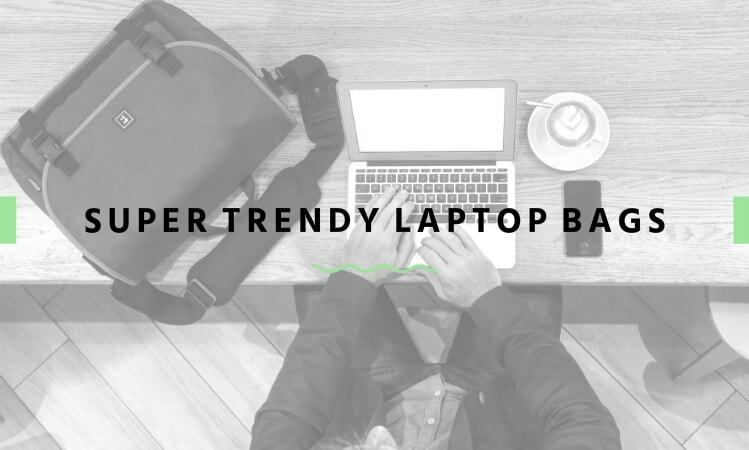 Which one(s) of these trendy laptops did you like? Leave your comments below to let us know.